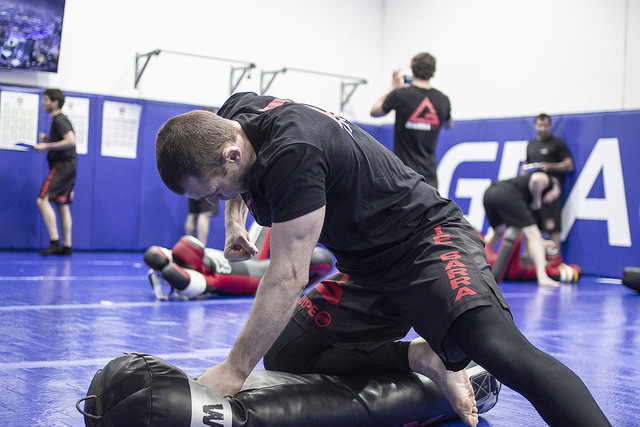 You already know many of the benefits of training Brazilian Jiu-Jitsu through Gracie Barra. Our schools are built on the values of Brotherhood, Expansion and Integrity. All of this is integrated into each of our programs – from GBKids all the way through the GB³ level. These, however, all have a definitive focus on Jiu Jitsu. BarraFit is a new, specialised program offered through Gracie Barra that draws on the training methods of Gracie Barra with the exception of the belt system, to build a martial arts inspired fitness program. It incorporates the philosophy, teaching and training methods of Brazilian Jiu Jitsu into classes that are specifically designed to help individuals meet their fitness goals. However, BarraFit is more than just a workout. It is a fitness program built with the same components that make the Gracie Barra training experience so unique, inspiring, welcoming, challenging and safe. The BarraFit program goes beyond the typical “get into shape” aspiration. The program aims at building a strong mind as the foundation for a strong and fit body by teaching the same values we teach to regular Jiu Jitsu practitioners to help them succeed on their journeys from white to black belt. BarraFit is fitness with a purpose. The purpose of achieving one’s personal best.